Home Dueling Pianos Show with Frankie G. & Steve W.
Dueling Pianos Show with Frankie G. & Steve W.
Join us at Shunk Gulley Wednesday, February 20 for a special musical performance! 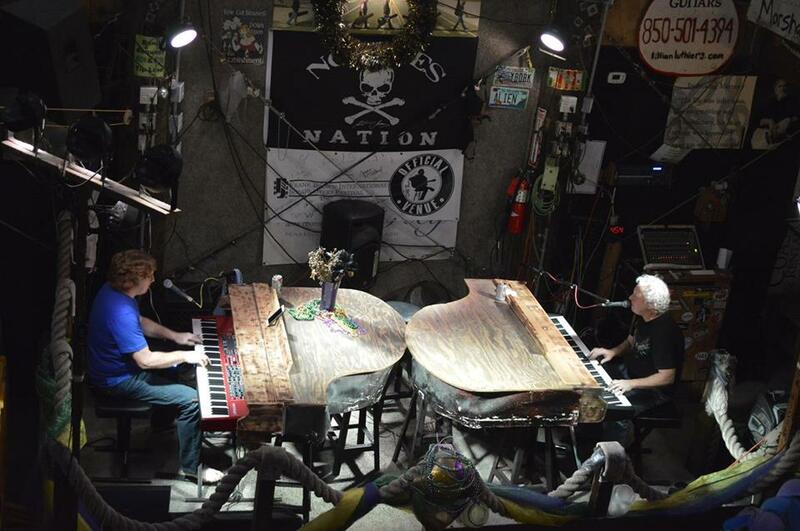 The Dueling Piano Act of Frankie G. and Steve W. are back on 30A! They will be tickling the ivories and putting on an exciting show from 4-8 pm. Shunk Gulley has once again partnered with The Sonder Project, who have been on the ground since day one helping with relief and recovery efforts after Hurricane Michael. Come out, enjoy the music whilst supporting a great cause!